Relieve stress, neck tension, headaches and more with this easy-to-use, relaxing therapeutic tool. Based on techniques from osteopathy, craniosacral and massage therapy, the CranioCradle® gently releases muscles tension, alleviates pain and eases stress. Simply place it under the head or cervical spine (neck area) and relax for a moment. The CranioCradle encourages your cramped muscles to release and your joints to decompress. CranioCradle is ideal for self-help therapy or as an extra set of hands during a treatment session. Includes a detailed instructional guide. As a physical therapist for 35 years and craniosacral therapy practitioner for 25 years, it is my pleasure to endorse the CranioCradle. It is the most unique and safe positional device for the head and spine I have ever used. It is a safe way for the client to give themselves a stillpoint from the occiput or sacrum. It is a comfortable and secure neck active range of motion device. It is a sacral positional device. When two are used at the sacrum it is a gentle pivot for craniosacral range of motion for the sacrum and distal dural tube. The unique design is in fact a cradle for the head and accommodates both erect and forward head postures to accomplish self induced stillpoints or rest positions. It also cradles the sacrum in supportive rest positions for the back pain client. My clients love it. It empowers them to help themselves move toward health independently. I include the cradle in many of my home programs between sessions. I think this is an example of moving CST, as well other manual therapies, forward in a brand new way. The CranioCradle is a must have for every therapist and patient. I use it nearly every session, putting it to work while I massage elsewhere. I take mine with me everywhere, to ease the strain of travel, long hours on my feet teaching, and bad hotel beds. Many of my clients keep one at work, one by their bed, and one to share. Ideally, you will want three for your treatment room: cervical, thoracic, and lumbar placements, all at once! You won&apos;t regret buying a case. They will fly off your shelf. Your practice is only complete when you have the CranioCradle! My colleagues and I have been using the CranioCradle in Australia in our practice, since 2009. While we&apos;ve trialed many self-treatment devices, the CranioCradle offers the best quality of therapeutic benefit coupled with versatility. Soft enough for even the most symptomatic patients to accommodate, yet firm enough to provide gentle pressure and stretch to engage the connective tissue, craniosacral, and muscular systems, the CranioCradle can be used during a treatment session as well as for a home self-treatment program. They are so effective that 99% of our clients who trial the CranioCradle purchase one for home or office use. Kudos to the developer for such a well-designed product that can be used to treat so many areas of the body! The CranioCradle is one of my go to self-treatment tools for myself as well as my patients. 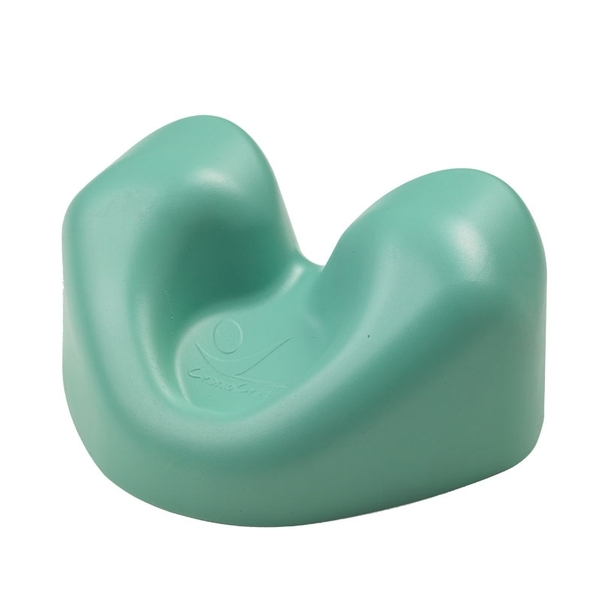 It has a soft and grippy surface that lends itself useful for treatment of many different areas of the body. I recommend a CranioCradle to many patients, especially those with neck pain and headaches who are anxious or have difficultly "letting go." It provides a gentle traction to the neck, supported rotation. It also provides soft and firm pressure for thoracic self mobilization and is a great way to float the sacrum to release the gluteals, multifidus & psoas. I like it so much I even made a video to help teach my patients how to use it, which you should be able to find it on my LeBauerPT YouTube channel. I have been using and selling the CranioCradle now for the past 3-4 years with great success on all types of chronic pain patients. I first used this on a young 9 year old with Tourette&apos;s Syndrome. She immediately became calmer. Her mother took one home for her to use everyday. She loves it! I had a lady that was having shoot pains from her neck into her head and none of the medications would work. This device was the only thing that gave her any relief. My own girlfriend was in a accident which broke 7 ribs, fractured a clavical, left her with a forward head posture and some chronic headaches. She uses this to help with the kyphosis and her neck and headache pain. I used it with a pro-baseball player to help with his mid-thorcic pain. His quote "Can I just stay here it feels so good." I have a doctor that is in awkward positions all day long and gets regular stiff necks. He took one home to use every night to help relief his neck tension. I use it myself after a day of therapy and better than that in between patients to relieve working over a patient. I have a lawyer that uses it on his long drives for lumbar pain and then when he needs relief at home. I use it as a personal training device against the wall and on the floor to help open up the thoracic spine. A must have for everybody and anybody. I was lucky enough to be one of the first people to get my hands on the CranioCradle, and it immediately left my hands because so many therapist friends wanted a chance to use it. Inducing a sense of deep rest and release, this is the perfect, simple, safe tool you can use to increase your clients&apos; well being. You will not need to palpate for the craniosacral rhythm but rather just let the cradle do the work. It is useful for LMTs, chiropractors, yoga teachers and other professionals, and it works well as a take-home tool for clients too, creating additional potential income for practitioners. Well made and well supported product.